Completion of OSHA course #510 Occupational Safety and Health Standards for the Construction Industry. Please note that the 30-hour Construction outreach class is not considered equivalent to course #510. The 30-hour Construction outreach class is a hazards-based class, which is delivered by OSHA authorized trainers. The OSHA #510 course covers OSHA standards and is only offered through the OSHA Training Institute (OTI) or its OTI Education Centers. Experience cannot be substituted for the training prerequisite component. OSHA does not issue waivers for these prerequisites. After satisfying the prerequisites, a person must complete course #500 Trainer Course in Occupational Safety and Health Standards for the Construction Industry. This course includes knowledge and performance-based tests. Trainers must pass both of these tests to become an authorized trainer. 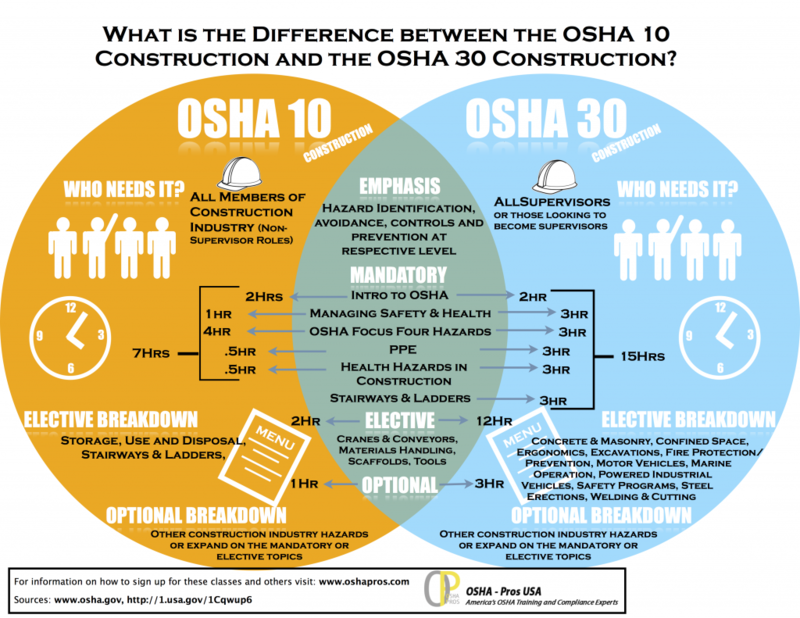 To stay current on relevant OSHA matters, authorized Construction outreach trainers are required to attend OSHA course #502, Update for Construction Industry Outreach Trainers, every four years. The OSHA #500 course may also be used to maintain a trainer’s authorized status. If a trainer’s authorization has expired, the trainer has a 90-day grace period after their expiration date to take OSHA #502. The 90-day grace period is designed to allow for unexpected circumstances like course cancellations, illness, and other unavoidable obligations such as jury duty. After the grace period, a trainer’s authorization may only be reinstated by retaking OSHA #500 course, with proof (minimum of a trainer card) of prior authorized construction trainer status within the past 14 years. If a trainer’s authorization has expired, they will be unable to conduct outreach training and receive student completion cards.